Cherry Bay Wellness - A new health and wellness brand. Fresh pressed and fresh off the press. 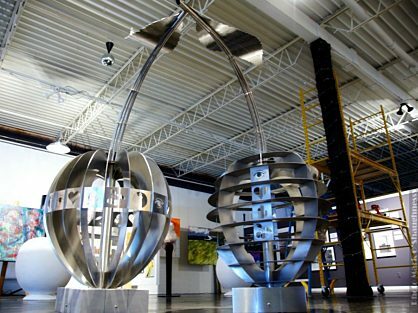 Shoreline Fruit LLC, announced today personnel changes at their World Headquarters in Traverse City and their Production and Storage Facility in Williamsburg, MI. Shoreline Fruit announced today a new investment in CherryFlex Inc., an innovative leader in the development of whole fruit processing technologies for use in ingredients and supplements. 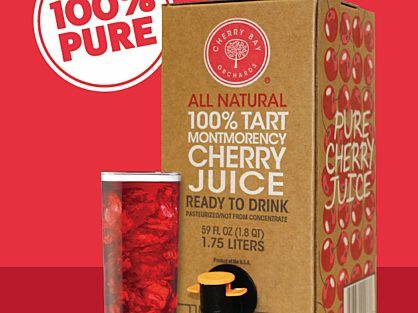 Shoreline Fruit has introduced an innovative new way of bringing fresh pressed tart Montmorency cherry juice to the consumer under their Cherry Bay Orchards® retail brand. Shoreline Fruit announced today the donation of 47,250 pounds of frozen tart Montmorency cherries. Triathletes and runners now have a new weapon in their training and recovery arsenal. Shoreline Fruit, LLC, announced today personnel changes at two locations. 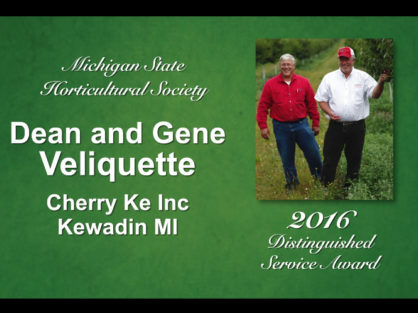 In memory of their long time business partner and cherry industry innovator Gene A. Veliquette.